and erstwhile drumming friend of mine produced a rather good tutorial dvd several years ago, making manifest the basis of his enviable skill around the drumset. pertinently, though at the time this set consisted of six pieces, his percussive philosophy made practical sense no matter the number of drums and cymbals at your disposal. the only factor that would leave itself open to discussion would have been his employment of a double bass drum pedal, but that was scarcely an intrinsic part of the learning process. the basics of rock/pop drumming, assuming the incumbent to be right-handed, more or less demands that the righthand cross over the left to play the hi-hat cymbals situated on the left of the drumset. this is mostly a matter of mechanical necessity, as those two hi-hat cymbals have need of being opened and closed by means of the left foot. since the right hand is generally more flexible and stronger than the left, the latter is relegated to playing a single beat on the snare drum, once or twice in each bar, depending on the rhythmic requirements of the song. what my friend perceived as the problem with this setup was an increasing reluctance to take the right hand away from the hi-hat during a song. this right-hand-over-left position became the percussive equivalent of a comfort blanket; a safe place to be where very little could ever go wrong. this is not a particularly reactionary observation, but not one that the majority of us on the drum stool are keen to admit to. when the opportunity to play an audience impressing drum fill, that comfort zone often wins out and the fill remains wholly theoretical. keen observation from within the peloton will elicit a number of comfort blankets on behalf of one's pelotonic compatriots. personally, i favour riding on the brake hoods unless the road heads steeply downwards, but i note that others seem happier in the drops at all times and one or two seem largely more comfortable grasping the tops of the bars. functionality would dictate, however, that we alter our hand positions frequently to avoid any static discomfort. that really doesn't seem to happen quite as often as would appear pragmatic. but my own particular comfort blanket has nothing to do with how i sit on the bike, where i grasp the bars or whether i stand up to climb. my comfort zone encompasses a pair of long-sleeves on my jersey(s). i know i have brought this to your attention on previous occasions, but in terns of this specific time of year, i'd be inclined to point it out as a necessity rather than a desire. i cannot even lay it to rest by describing long-sleeves as a style choice, though that has more to do with a complete absence of the latter on my part. it is not so long ago that i reviewed a sportwool style short-sleeve heritage jersey from the fine people at svelte, one that fulfilled its function and expectations most admirably. yet at the time, armwarmers notwithstanding, i really felt that its potential was being slightly undermined by the shortness of the sleeves. similarly to comparable jerseys on the market, i really find long-sleeves to be far preferable. in mitigation, i feel i ought to point out that this has a great deal to do with my featured climate. were i to be domiciled in the tuscan region of italy, perhaps my views would be substantially different. however, italian sunsets are very unlikely to impinge upon my velocipedinal activities anytime soon, so until then, long-sleeves it is. i also have a distinct partiality to the merino/polyester combination that i'm inclined to refer to as sportwool simply for an uncharacteristic bout of brevity. compared to the good old polyester on its own, there's a substantiality to the merino fabric that is distantly related to a 13 tog duvet. in the case of this latest and welcome addition to the svelte range (mine is a rather attractive shade of burgundy) the fit is quite impeccable. it is tailored in a manner that lives up to its brand name, with a full-length front zip, a well-judged height of collar and long sleeves that really are long-sleeves, refraining from exposing any fraction of wristbone to the elements. however, if i might be allowed a single criticism, it's the narrowness of the cuffs. this makes it a tad difficult to put on, especially if trying to hang onto the cuffs of a long sleeve baselayer to prevent them ending half way up your forearm. when it comes time to remove an ever so slightly damp jersey, it's darned near impossible without allowing the sleeves to be pulled inside out. this is hardly a travesty in the grand scheme of things, but a modicum of manoeuvrability would be most welcome, particularly considering i have quite narrow wrists. that said, the svelte l/s heritage jersey is a more than welcome comfort zone. the three main rear pockets offer sufficient space for stuffing totally unnecessary guff, while the buttoned (more like a small medallion) version eagerly accepts coffee money with open arms. 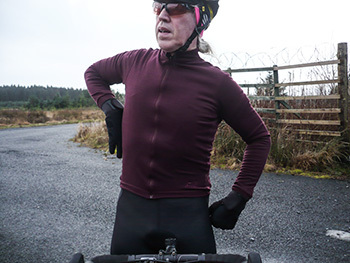 it's the ideal cycle wear for chilly days and fits well under an outer softshell or rainjacket, while its price of £110 is unlikely to trouble the pertinent apparel investor, particularly when you learn that the heritage jersey is built in london. 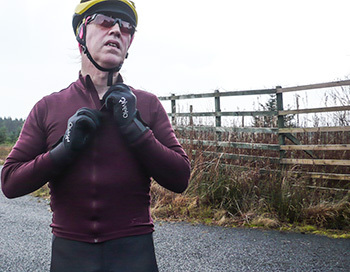 there are few cycling apparel companies that have that on their palmares nowadays. 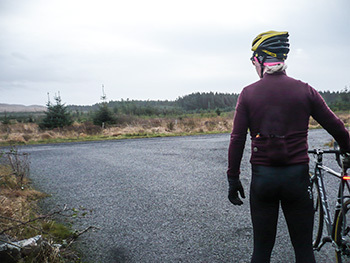 the svelte long-sleeve heritage jersey is available in burgundy, green or navy in sizes ranging from xs to xl (medium size reviewed.